A couple museums after my earlier hot dog experience over at Super Duper Weenie, it was time for another hotdog. 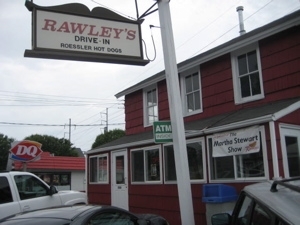 Whereas the SDW dog was merely a Roadfood Honorable Mention, the Rawley’s dog is said to be the second best deep-fried hot dog in Connecticut – apparently a top state for such fare. Rawley’s is right on the main drag (Route 1) and looks like it’s been there for many years. The outside is in pretty good shape, but the inside decor is a bit weathered. Though, one could easily say, that’s because it’s so dang busy all the time. It wasn’t too bad when we arrived, having only to wait for 10 minutes or so. The waiting area is incredibly tiny, but that’s part of the charm. 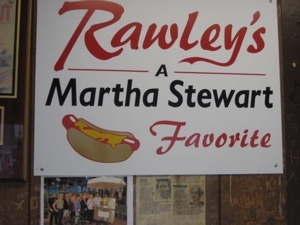 While waiting, I read some press clippings about Rawley’s – notably that Martha Stewart loves this place and rated theirs the best “hot dog with the works” in the country. Wow. Rawley’s is a Gold Coast snack shack with blue ribbon red hots. At noon, mobs of hungry Fairfield County citizens throng the short counter and handful of booths off to the side to ingest delectable dogs that are cooked in a deep fryer, then finished on a griddle so their skins turn crusty. The big, plump tube steaks are then bedded in buns that have been toasted on the same luscious griddle and they are dressed with your choice of condiments. The traditional Rawley’s “works” dog is smothered with mustard, relish, sauerkraut and a handful of crunchy cooked bacon shreds. 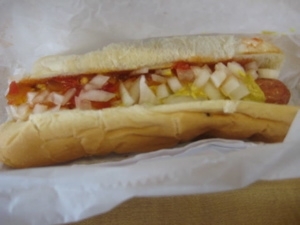 A recent addition to the menu is Mel’s Hellish Relish which, along with chili, creates an incendiary dog. Good thick-cut French fries are available on the side. To drink: milk shakes and malts. Atmosphere at Rawley’s is nearly as delectable as the hot dogs. At the counter, you can count on repartee among customers, waitstaff and Nick Frattaroli (who bought the place from former proprietor Chico Bielik late in 2002). 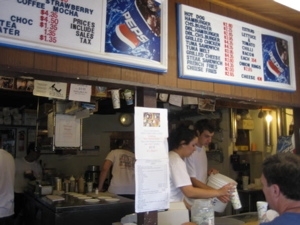 Adjacent to the counter is a small, wood-paneled room that is carved floor to ceiling with customers’ initials and sentimental odes to this, the granddaddy of Fairfield County hot dog joints. For some reason, my companions for the day were not feeling like a hotdog and Rob had a grilled cheese (!) and Yvonne went across the street for a little quiche from some chic-chic patisserie. 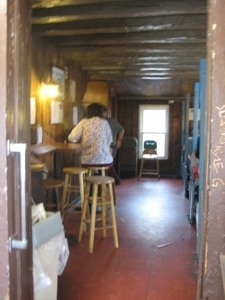 The room with the booths seriously looks like a college dive bar; dim lights, carved up/graffitied benches and walls. 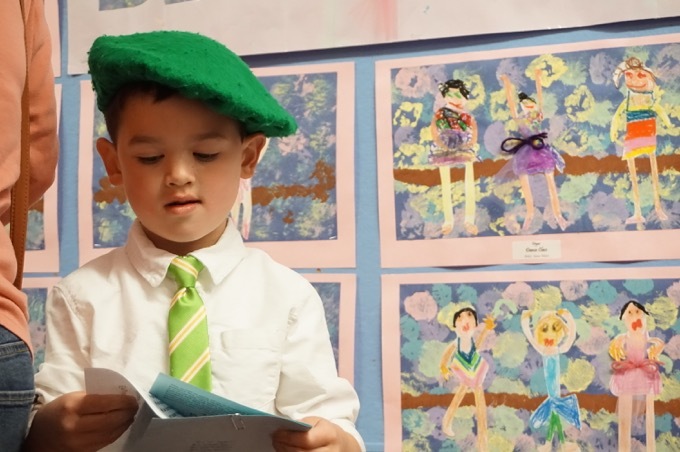 Yet, it didn’t bother Alex G… Or me. I’m such a peasant. 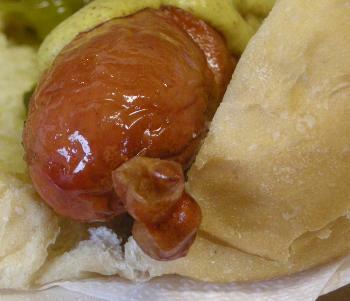 Yes, your humble peasant ordered up a deep friend-then griddle-fried hotdog – I got the “Hot Chihuahua Hot dog” complete with local Mel’s Hellish Relish. It wasn’t too hot at all and it was really good. I enjoyed the much ballyhooed “snap” of the natural casing and the buttered and lightly fried bun was an added bonus. In the battle of Fairfield Hot dog supremacy, Rawley’s takes the crown over Super Duper Weenie (which I think Roadfood agrees with as well). I guess I’ll have to do my own rankings when all is said and done. 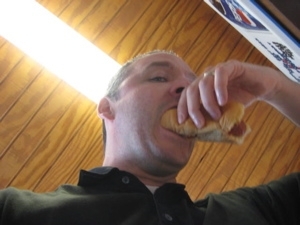 The hot dogs are as good as they were 50 years ago. It was a stop off on my way home from Roger Ludlowe H.S. “Chico” and friends (all who worked there) added to the camaraderie. The “wood-paneled room that is carved, floor to ceiling, with customers’ initials” contains a history in itself. 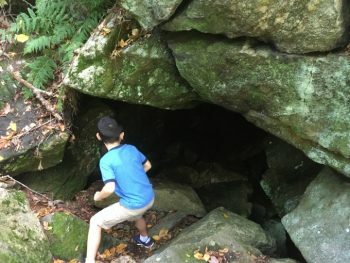 When going “back home” to Fairfield it’s a primary stop for many of us. BEST ENJOYED WITH ‘DA WORKS! I grew up on Windmill’s Miller Meat Provisions dawgs & Danny’s of Stratford’s dawgs, crinkle cut frys and chocolate frosts. Now that I’m parked in Fairfield I’ve discovered Rawley’s dawgs & they are excellent. The works loaded with crispy bacon bits is phenomenal. I know many hotdog shacks cook their dawgs in the fry-o-later first and then finish on the grill and Rawley’s does this with good results. Super Duper Wheenie had good operation with a varied menu but the last couple of times I went the dawgs weren’t good. Mouthfeel was as if the dawgs had been previously frozen. Two thumbs up for Rawley’s.